Every year it seems as if summer ends too soon and fall sneaks up on us, but that doesn’t mean you have to leave all of your fall home maintenance to the last minute. Taking the time to prepare your house for winter during the fall months can help you save money on costly repairs by preventing damage before it happens. 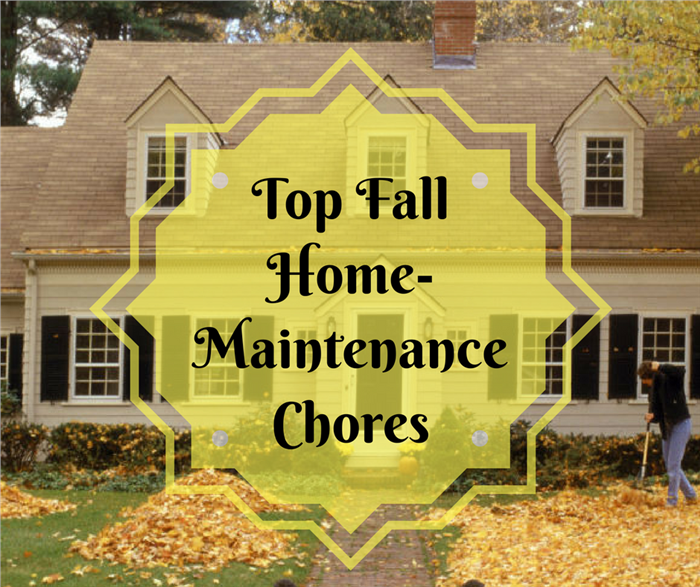 Fall maintenance can seem daunting, but most of it actually involves simple prep work and cleaning. Follow the steps on this simple fall maintenance “to-do” list, and you’ll have your home ready for the changing seasons in no time. If you live in a more traditionally styled home, such as a country home, that has a fireplace and chimney, then you’ll definitely need to have it checked and possibly thoroughly cleaned before winter arrives. Clearing out the flue is essential if you plan on using the fireplace, either for heating or atmosphere, as any clogs, blockages, creosote clinging to the liner walls or could cause the smoke to build up and flood back into the home – or even a chimney fire. Even if you don’t plan on using the chimney, you should still have it cleaned and inspected to ensure that there aren’t any hidden issues that might arise. 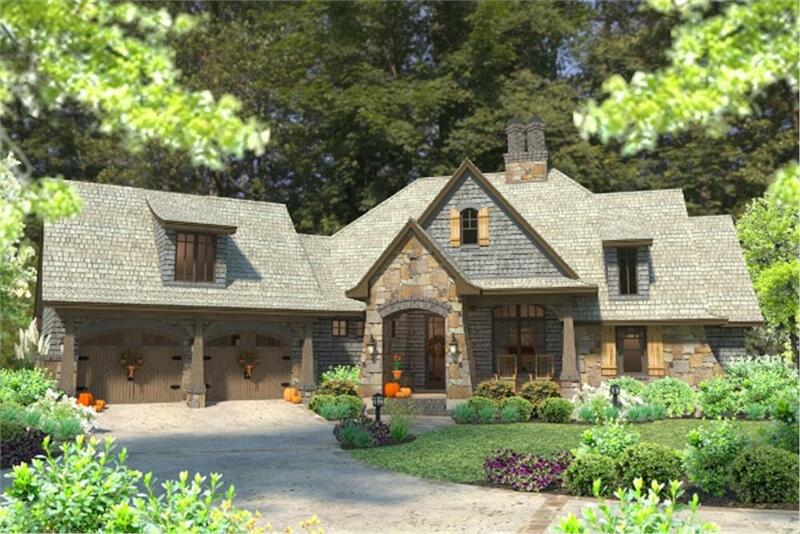 This 2-story, 4-bedroom, 3.5-bath Craftsman Cottage-style home plan has two chimneys: one for the heating system and one for the great room fireplace (House Plan #117-1102). 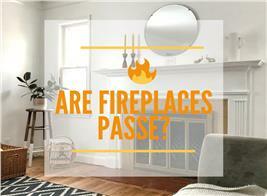 The fireplace chimney should be cecked yearly in the autumn, especially if it gets a lot of use. While ideally you should be regularly checking your smoke and carbon monoxide detectors year round, it should definitely always be part of your fall checklist. Since you’re less likely to open windows and have proper airflow through the house during the fall and winter, when you’re also more likely to use a chimney or run a gas-powered furnace, there’s a greater chance that either of these harmful gases could enter your home. 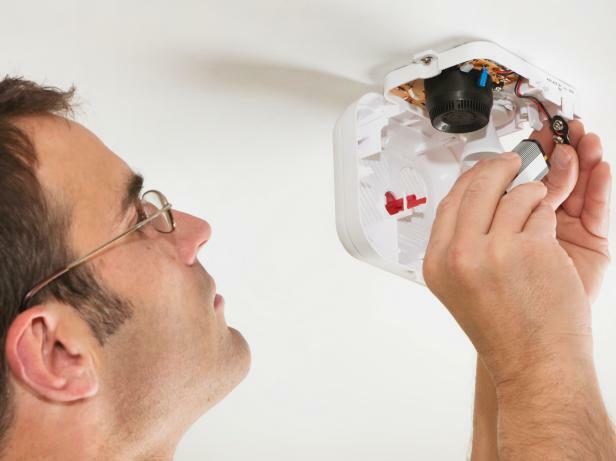 Changing the batteries on your smoke detector – including the backup battery on a hard-wired detector – each fall is a fail-safe method of always ensuring the safety of your family. Believe it or not, your ceiling fan can actually help you stay warm in the winter, too. The key is reversing the motor so it rotates in the opposite direction, so it spins clockwise. Doing so allows your fan to push the warm air that rises back down into the room, creating better circulation and keeping a proper balance in temperature. This can be very helpful in homes with high ceilings, as they can store large amounts of warm air. You may not think of turning on ceiling fans during winter, but it can be a comfort boost and energy saver if you do. Just be sure the the fan blades are turning clockwise. This way the blades pick up cooler air from below and mix and redistribute it with warmer air that rises near the ceiling. 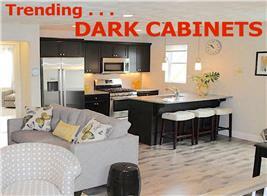 This is especially useful in homes that have high and/or vaulted ceilings. 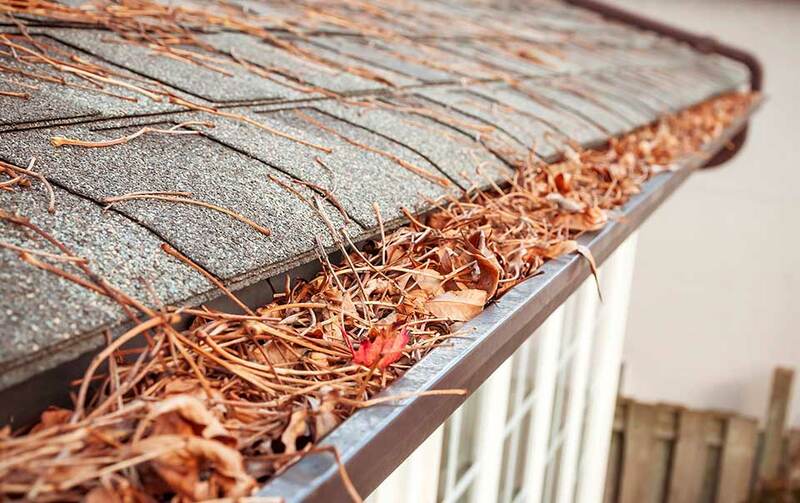 No one likes cleaning out the rain gutters, but it’s one of the most important fall home-maintenance tasks you can perform to get your house ready for the winter months of snow (and rain) and ice accumulation. Rain and snow can do a number on your drains by themselves, but if you leave them backed up and full of old leaves or other debris, you’re almost definitely going to experience some serious issues. Just remember, cleaning out your drains now is much better than having to replace them completely in the winter. Seriously clogged rain gutters like this can prevent melting snow and ice from draining properly, aggravating ice dams and causing water buildup and possible leaks into your home. Be sure to clean out your gutters every autumn. 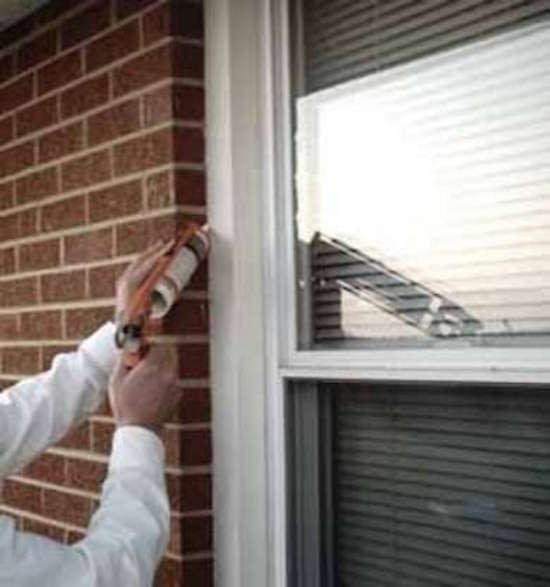 Another key task is performing an evaluation of the exterior of your home, specifically to see if there are any issues with the paint or the caulking. Chipped paint might seem like a mild annoyance, but it can become a bigger issue when the temperature starts to drop. Broken or worn caulk around the seals of your windows can also be a major problem because it can lead to poor insulation, which will increase your heating bill or even allow moisture to enter and form mold. This check is extremely important on larger houses, since they have more space and areas that could be affected. Make sure the caulk that seals your windows and doors is in good shape. If not, scrape out the caulking material and re-caulk to seal the frames against air leakage and water intrusion. Just because you won’t be using your air conditioners in the fall and winter doesn’t mean you should forget about them completely. If you have an external unit running to central air, you should cover it with a weather resistant tarp to prevent damage from rain or snow, as well as to reduce inadvertent airflow into the home. You should also remove window units as soon as possible so you can focus on winterizing. These units can be stored in the garage or a utility space in the home. There are plenty of autumn home-maintenance tasks that also involve outdoor living spaces in your home as well. If you have any patio furniture that won’t stand up to snow and rain, then you’ll need to either cover them or bring them inside. 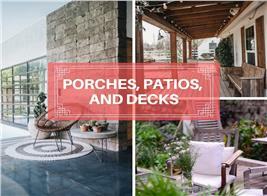 Patios and decks will also need some special attention to make sure that all appropriate spaces are covered and protected. If you do plan on using these areas in the fall before winter comes, consider installing lighting to help you see during the darker hours that occur earlier in the day. It can be easy to overlook certain areas of your home during your fall maintenance, and one of the most overlooked has to do with equipment, such as a sprinkler system. 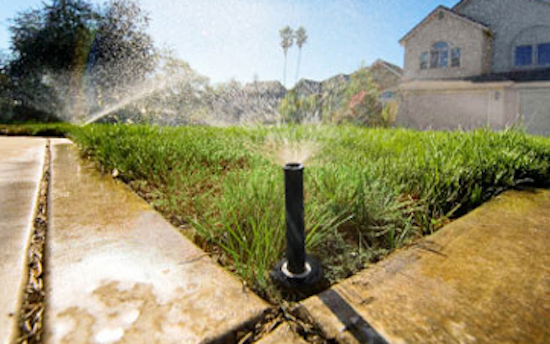 Most people don’t need to water the lawn during the colder months, so you’ll want to drain the sprinkler system completely, as this helps reduce the chance of the pipes freezing and bursting. The same is true for hose bibs, which can also hold hidden water that could freeze up. Install a freeze-proof hose bib or shut off the water going to the bib and drain it. Fall is also a good time to clean and service equipment like lawn mowers, pressure washers, and string trimmers. You should also break out winter equipment like snow throwers to make sure they are ready to go when the time comes. Because sprinkler systems are not installed below the frost line, it is imperitive that you drain the system each fall in areas likey to experience frost during winter. Otherwise you mwy be faced with burst water pipes – and a repair project with a big price tag. Garden care is another staple of any fall maintenance checklist, as there are a few key steps you should take to ensure that your plants last through the winter. Start by removing any and all spent annuals, as they will not grow back next year and can cause pests to take hold during the winter. If you have perennials in your garden, you only need to remove the foliage and some of the stem, leaving the roots intact underground. It’s often a good idea to mulch over the top of the roots to insulate them somewhat from the frost of winter. The excess foliage and annuals can make a great addition to your composting. Living in a home with a porch and large front and/or rear lawn presents some additional fall work if you want a healthy looking lawn with minimal weeds. Grass roots continue to grow, even as leaves fall to cover it (and you rake them up! ), and autumn is a good time to give the lawn extra nutrients that it can store in the root system over the winter months. 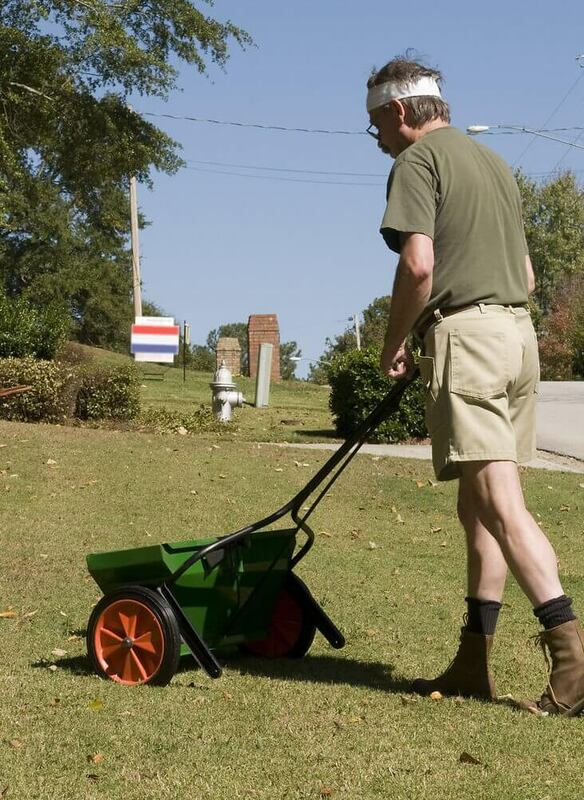 Fertilize the lawn with a variety formulated for fall to help fortify the grass roots – and prevent germination of weeds in the spring – before the ground freezes, making it easier for grass to grow back and flourish once the warmer weather hits after winter. Though you may think fertilizing a lawn is a chore to be done only in spring or during summer, autumn is actually a great time to do so. The grass roots are still growing and storing nutrients for the winter, and the extra fertilizer and weed prevention in fall lawn-care formulations provide an extra boost for vigorous spring growth. Check out our selection of regional and feature-based house plans to see what houses in different areas might require. Or share your own tips for building a fall maintenance checklist in the comments below. Footnote: the lead image shows a homeowner raking up leaves, one of the projects in a list compiled by Popular Mechanics. For more information, click here.